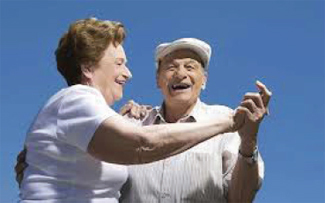 Emerald Coast Internal Medicine and Geriatrics puts a special focus on patients 65 and older. There are some conditions that often come with aging, and we want to alleviate the complications of these conditions as much as possible. Sleep problems in older adults can be caused lack of activity and not being very tired at night, caffeine, the need to use the bathroom during the night, depression, changes in the body's internal clock, and pain caused by other conditions. We work to create a combination of medication, lifestyle changes, and techniques to get you to fall asleep quickly and stay asleep. Often occurring after surgery, with a fever, or following a traumatic event, delirium is characterized by illusions, restlessness and incoherence of thought and speech. The person is disoriented and can be a danger to others or themselves if they are left alone in this state. We treat delirium according to the cause of it. The average length of this condition is one week, with full recovery achieved in several weeks. While there is currently no cure for Alzheimer's, there are several advances in medicine that slow down the progress of the disease. 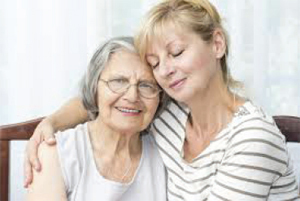 These treatments combined with supervised care and the support of friends and family improve the quality of life and decrease symptoms throughout the duration of the disease. Elderly patients are at an increased risk for mental illness due to aging and situations that arise such as the loss of a spouse. Behavioral problems can include anger, abuse, lack of personal hygiene, swearing and offensive language, and paranoia. Emerald Coast Internal Medicine and Geriatrics works to uncover the reasons behind these behaviors and the causes of the conditions to eliminate them as much as possible through therapy, home care, and medication. Some older adults develop psycho social issues and no longer interact with others well in social situations. We work with each patient to find out what caused these issues and educate their loved ones on how to cope with the problem and help the individual. The elderly often experience gait problems, which are abnormalities in the way people walk. These include a stooped, stiff posture, bending at the hips and knees, foot dragging, and waddling. Most often these are caused by arthritis, foot problems, and injuries. We will observe the gait and determine the cause so we can correct the problem. As geriatric patients experience weakened muscles, dizziness, and balance problems, falls can occur. These falls may result in injuries to the legs, hips, and back. Emerald Coast Internal Medicine and Geriatrics will determine if medication is needed for dizziness or if walking aids such as a cane or walker should be used to prevent further falls. A disease that weakens the bone density and can cause injury and falls, osteoporosis is treated at our clinic through diet changes, medication, and halting the progress of the disease. In some cases, surgery may be needed to support weakened bones artificially. When an area of the skin breaks down after something repeatedly rubs or presses against the area, a pressure ulcer develops. These can result from diabetes or conditions that inhibit mobility. We treat pressure ulcers to restore the skin and heal the area.